Grandma's are very special and what better way to show you care than with a stunning polished "I Love My Grandma" pendant casted in 14 carat yellow gold. This is a solid piece of jewelry measuring 12mm in length and 15mm in width. The yellow gold charm pendant hangs delicately. 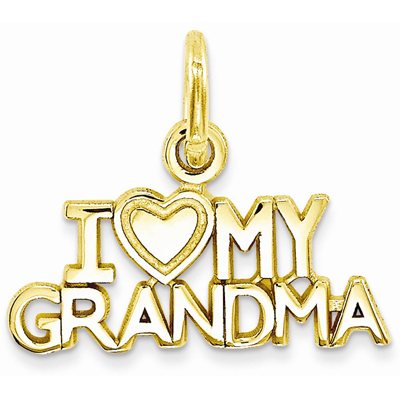 We guarantee our I Love My Grandma Charm Pendant in 14K Gold to be high quality, authentic jewelry, as described above.